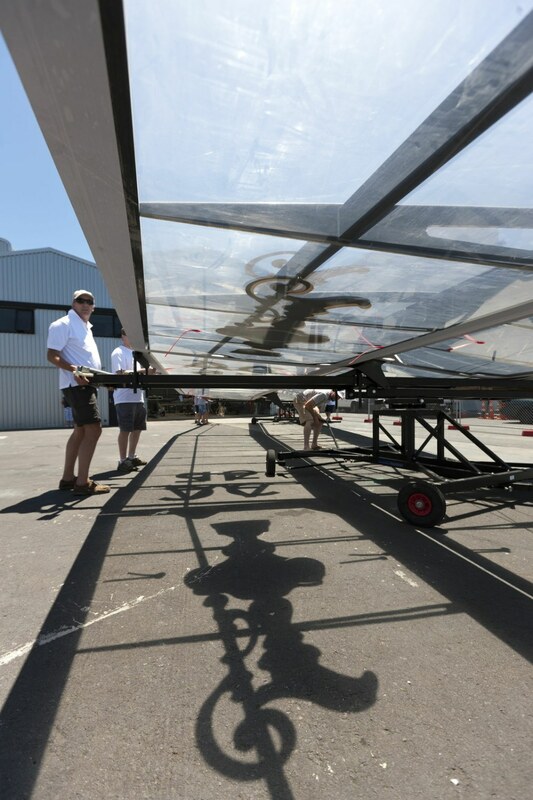 A sunny day in Auckland, New Zealand, but with a forecast of big winds to come. 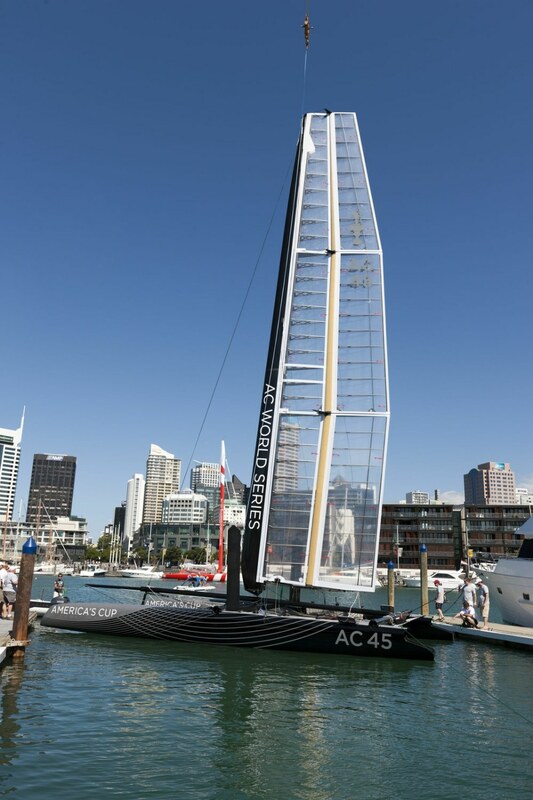 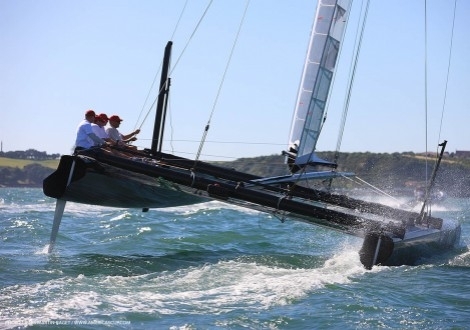 The first AC45 catamaran was rigged and launched and sailed ahead of a tropical cyclone that threatens to shut down the show temporarily . . .